Météorites Primer smooths and color-corrects your skin tone for a radiant complexion. 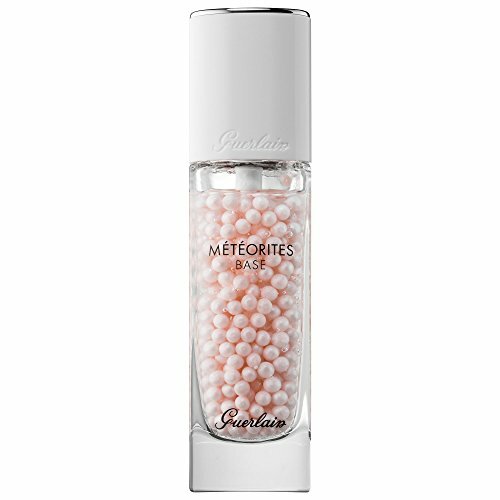 Infused with a delicate violet scent, it's formulated with Guerlain's signature Stardust Technology: a unique complex encapsulating a celestial powder that transforms light invisible to the naked eye into visible and soft-focus perfecting light to blur imperfections and provide exceptional radiance. The fresh gel texture melts with the rosy pearls to give skin a radiant and glowing finish, while neutralizing excess sebum for a long-lasting matte complexion. Highly concentrated pearls containing multi-colored, micro-shimmer particles amplify light reflection to create an illuminating, color-corrective light for your complexion. The absorbent powders neutralize excess oil while a special polymer helps to fade imperfections and smooth fine lines for a long-lasting, matte and even complexion By GUERLAIN. If you have any questions about this product by Meteorites Base Perfecting Pearls, contact us by completing and submitting the form below. If you are looking for a specif part number, please include it with your message.